The Missing Blog: New Campaign Launch: Will you help us find every child? 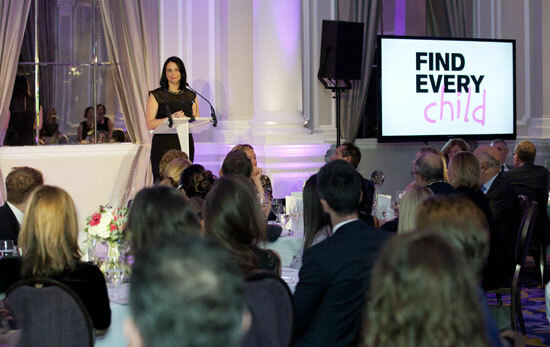 New Campaign Launch: Will you help us find every child? Jo Youle introduces our biggest ever fundraising campaign to date. A few months ago I met a young boy. He was living with a foster father because his mum was too ill to look after him. He’d been missing 3 times that week alone. When asked if he felt safe when he was away, he said no. But that he didn't care. He didn’t care about anything, or what happened to him. So it was quite something to say that we did care about him. And when he agreed to meet us again, it felt like a small breakthrough. When a child is abducted or missing they are in serious danger. The quicker they are found, the less likely they will be exploited. If every vulnerable child who went missing last year in the UK were together they would fill Wembley Stadium – twice. The number of children we helped increased by 60% this year; we were able to make a direct impact to the lives of 1,647 children. We have the means to help far more children, but not the resources. If we don’t urgently raise more funds, this year alone hundreds of vulnerable children will not be found. This isn’t good enough. There are numerous practical ways our team already find missing children. Thanks to our supporters, staff and volunteers, every day we directly find an average of one missing child and reach out to 10 more. These are some of the most vulnerable children in our society. But we need to be able to do more. Only 1 in 20 children seeks professional help while they are missing. The main reason is that they don’t know what help is available. Our ground-breaking TextSafe partnership proactively reaches out to missing children via text message, offering them free, confidential advice from our 24/7 helpline when they need it most. With your support, we want to dramatically increase TextSafe use so that we can offer a lifeline, and a way to get home safely day or night, to every child reported missing. And we also want to help children before they hit that moment of crisis. Right now, very few school children are taught about the dangers of running away. If every child were given essential skills before they were to go missing, they would know where to get help in a crisis. We know there is a very close link between a child repeatedly going missing and them being sexually exploited. It is vital we stop that child going missing again and again and becoming increasingly vulnerable to exploitation. Support from a caring, qualified expert after their first disappearance can dramatically reduce the risk of a child going missing again. This year we have three pilot local projects, and we need to expand this nationally. The charity’s highly experienced and accredited crisis team provides 24/7 specialist support to missing children and their families. 600 volunteers help the search across the UK. Missing People is the best placed organisation to reach these young people. We have the expertise, the passion. What we need is the funds. I urge everybody reading this to consider supporting the Find Every Child appeal. It couldn’t be easier to give a regular or one-off donation, and together, we really can Find Every Child. Text SAFE to 70660 to donate £3 a month from your mobile*, or click here to donate online. *Missing People receives 100% of your donation. This is a subscription service which will cost £3 per month. You can stop at any time with a "STOP" text. Please obtain the bill payer's permission. You can contact customer care on 0208 392 4571.